In much larger geographic and demographic nations like the United States of America (population 327 million) you’d expect a wide-range of political, social, economic, cultural, and religious diversity. But with only 6.6 million Jewish citizens of Israel and only 14+ million Jews on the planet you would anticipate fewer differences and certainly not such dramatic dichotomies within Israel nor among Jews throughout the world. At the same time, both Israelis and Jews outside of Israel are an extraordinary example of a cohesive dichotomy (an oxymoron) unparalleled on Planet Earth. 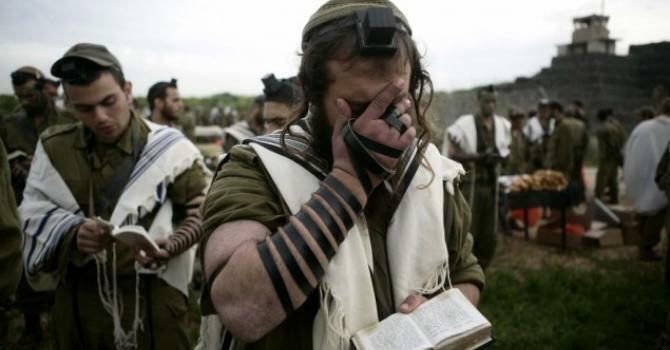 Nevertheless, differences between Jews themselves can be troublesome, especially when the Jews as a people and Israel as a nation have so many adversaries. Anti-Semitism and Anti-Zionism are still rearing their ugly global heads. Though every society contains multiple groups of political, cultural, economic, and religious persuasions, invariably they can be narrowed into factions of two (one ideology or world view against its opposite). For example, the United States is more of a political dichotomy between Republicans and Democrats. Whereas nations like Russia are more defined by an economic schism such as socialism (including communism) versus capitalism. With Israel, the delineation is more along the religious scale. Though there is significant solidarity of Jews within and outside of Israel, there are three basic Jewish dichotomies. Let’s examine this phenomenon; how these seemingly irreversible differences can be resolved and by whom. The remedy will impact the entire world. Avram marveled at Israel and its people. For a country not much larger than the state of New Jersey, with a population smaller than many of the world’s cities, Israel’s cultural, religious, and political diversity equaled that of many larger countries. No better expression of variance could be found than in the two cities that characterized Israel: Tel Aviv and Jerusalem. They balanced on the distant points of the cultural and religious pendulum, yet both cities were distinctively Jewish. Jerusalem was always the “ancient city.” Here you will find the long, storied past of Israel, with its patriarchs, judges, prophets, kings, and divinely appointed destiny of land and people. …If a citizen of Israel preferred the label of Israeli, there was a good chance that person lived in Tel Aviv. In Jerusalem or surrounding towns, residents embraced the time-honored appellation of Jew. After all, the word Jew originated from Judah, one of the twelve sons of Jacob and ancestor of one of the twelve tribes of Israel. In Israel, the majority of Jewish Israelis agreed they were either hiloni (secular) or masorti (traditional). For Jacob’s descendants who practiced Judaism, whether conservative, orthodox, or ultra-orthodox, Jerusalem was the main attraction. The secular, the atheistic, and the liberals preferred Tel Aviv. For the reformed, either city would do. But all Israelis passionately exhibited one unifying trait and defended one ultimate purpose: the survival of Israel as a people, as a sovereign democratic state, as a nation reborn from the floods of dispersion and from the fires of Nazi death camps. Jews synthesized over another common denominator, which Avram had not been afraid or embarrassed to articulate: “an enemy who wants to reduce them to ashes, to drown them in the sea, to erase Israel from memory, from all maps of the civilized world.” (Pages 15-16). Israel’s parliamentary Knesset consists of 120 members … a fixed number. Although the current 20th Knesset is composed of 10 main parties (each with its own political platform) including 2 religious parties—Shas and United Torah with a combined 13 members—there is still a substantial separation between the religious and secular. This variance is evident throughout Israeli society; for example, whether all Jewish business should be closed on the Sabbath. Or the even more divisive issue: whether thousands of young orthodox Jews (those who pursue a career as rabbis or just full-time students of the Torah) should be exempted from mandatory military service for all men and women at age 18. Based on the Jewish population of Israel, this is proportionally far more than just the occasional “conscientious objector” found in the United States or other democratic nations. It was a decision that finally enforced the Jewish Embassy Act of 1995 passed almost unanimously by both the U.S. House of Representatives and the Senate; Jerusalem is the eternal capital of Israel. For that reason, our embassy in Israel should rest in Jerusalem, not Tel Aviv. Trump was referring almost exclusively to Jews in America. Not to Israelis as it’s obvious they were ecstatic about the U.S. Embassy move. President Trump clearly said that (American) Jews were appreciative, but not as much as Christian evangelicals. Yet, it’s a foregone conclusion that most evangelicals do (or should) adamantly support the existence of Israel as the Promised Land given by God himself to the Jews. The people chosen by God to bring the light of his salvation through the Jewish Messiah, Jesus—the scepter from the tribe of Judah and descendant of King David, who established Jerusalem as Israel’s capital 3000 years ago. 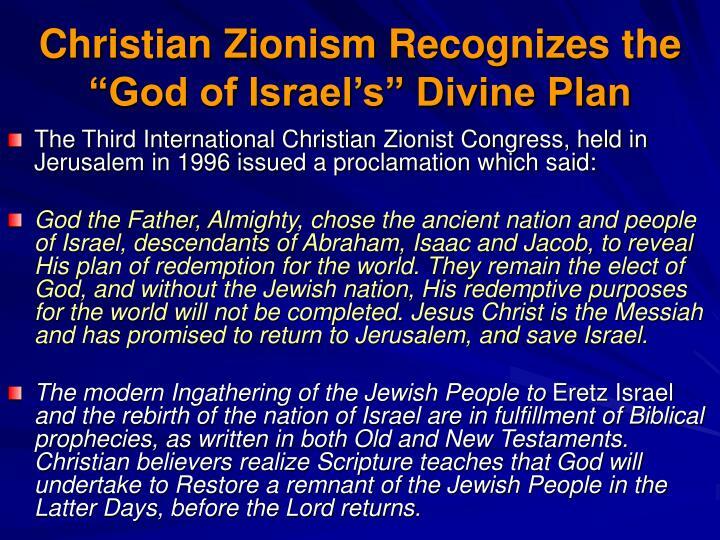 I and many Christian supporters of Israel have no problem with the appellation of Christian Zionists. Simply defined, Zionism is the movement that began principally in the late 19th century for the return of exiled Jews to their ancient homeland. This global exile is called the Diaspora, which we’ll look at in more detail during discussion of the second Jewish dichotomy. Why, then, wouldn’t American Jews be equally or more appreciative of the United States moving its embassy to Jerusalem than are Gentile born-again believers? We’ll answer that question as the article progresses. First, a brief review of the stunning prophetic fulfillment or developments of the 20th & 21st centuries, as originally itemized in the two-part Eye of Prophecy series, Look Up, Redemption is Near (Posted 7-11 & 7-18-15). In terms of the sheer quantity of Biblical prophecies and emphasis, most significant of these signs are the first two on this list: (1) The rebirth of Israel as a sovereign independent self-governed nation followed by the enormous return of Jews to the Promised Land, even exceeding their Exodus from Egypt under Moses. (2) The reunification (liberation) of Jerusalem as Israel’s eternal capital 2,000 years after the Romans destroyed Jerusalem and demolished the second Temple (70 AD). Although the move of the U.S. Embassy to Jerusalem doesn’t (in and of itself) qualify as one of the Biblical prophetic mileposts, it certainly fits into the third item on the above list: Jerusalem, A Heavy Burden to the Nations. This unprecedented global angst over Israel and Jerusalem was conspicuous in President Trump’s interview with Mike Huckabee. According to Trump, he didn’t fully comprehend why previous U.S. presidents had repeatedly (every six months) disallowed the U.S. Embassy to be moved. That is, not until he received numerous calls from world leaders pressuring him to keep the embassy in Tel Aviv. Then he better understood the staggering scale of international anxiety over Israel, especially Jerusalem. Hardly a week goes by without world-wide media coverage of the Middle-East, particularly Israel or Jerusalem or both. The move of the U.S. Embassy has been an incessant global issue, with most nations of the earth opposing President Trump’s decision. With, however, a reluctant acknowledgment that their fear of increased overt Muslim hostility (most notably Palestinian) never materialized. Even the Palestinian “Right of Return” march on Israel’s border with Gaza that began in late March and designed to climax on May 14th (date when U.S. Embassy was officially moved to coincide with Israel’s 70th birthday celebration as a nation) was not about the embassy move. Rather it was what the designation said: the so-called right of return of Palestinian 2nd, 3rd & 4th generation refugees from Israel’s 1948 War of Independence, which would amount to some 5 million Palestinians. That would effectively (by sheer numbers that would uproot many Jewish communities) spell the functional end of the Jewish State of Israel. Which is exactly what the Palestinians and most Muslim nations want. When, in fact, no other indigenous group on earth except the Palestinians have been given United Nations refugee status beyond the original (first) generation, i.e. those who fled their countries as refugees at that time. Please see Eye of Prophecy articles: What is a Palestine & Who Is a Palestinian? (Posted 12-2-17). Also, The “Right of Return” … For Palestinians or Jews? (4-7-18). For that matter, the entire world has mostly forgotten, doesn’t know, or doesn’t care to know that when Israel declared statehood in 1948, several Arab nations evicted nearly all their Jewish citizens. By United Nations definition, these Jews became refugees; however, very few claimed refugee status. Instead, many moved to Israel and some to the United States and other non-Muslim countries. The return of Jews to their homeland began primarily after the Balfour Declaration of 1917. However, by far, the greater number came home following Israel’s rebirth as a nation in 1948, continuing to this very day. Since 1948, some 3.2 million Jews have made Alijah (literally … going up or home to Israel from more than 100 countries). With the greatest number immigrating to Israel from Russia … well over a million. It would be (still going on) an Exodus even greater than the one from Egypt. Because the zenith of Jews returning to Israel has not yet been reached, only a relatively small number of Jews in Israel and a smaller number outside of Israel have verbalized the massive return of Jews to Israel to match what the Lord said they would say. But at the beginning of the soon-to-come (after the Rapture and the seven-year Great Tribulation) Millennial Reign of Messiah Jesus, all or nearly all the (surviving) Jews will be gathered back to Israel. Jesus, himself said that he (the Messiah) would, “…send out his angels with the mighty blast of a trumpet, and they will gather his chosen ones (meaning God’s chosen people, the Jews) from all over the world—from the farthest ends of the earth and heaven” (Matthew 24:31, parenthesis mine). Already, the number of Jews who have immigrated to Israel since 1948 (3.2 million) has substantially surpassed the estimated 1.5 to 2 million Jews who were freed from slavery during the original Exodus, resulting in the stunning fulfillment of Jeremiah’s prophecy. Notice also that the Lord specifically identifies “a land from the north” (in addition to all the countries to which he had exiled them) from which his exiled people would return. This is the same land (country) from the north that will lead the invasion against Israel during the early phase of the Great Tribulation—none other than Russia … Gog. 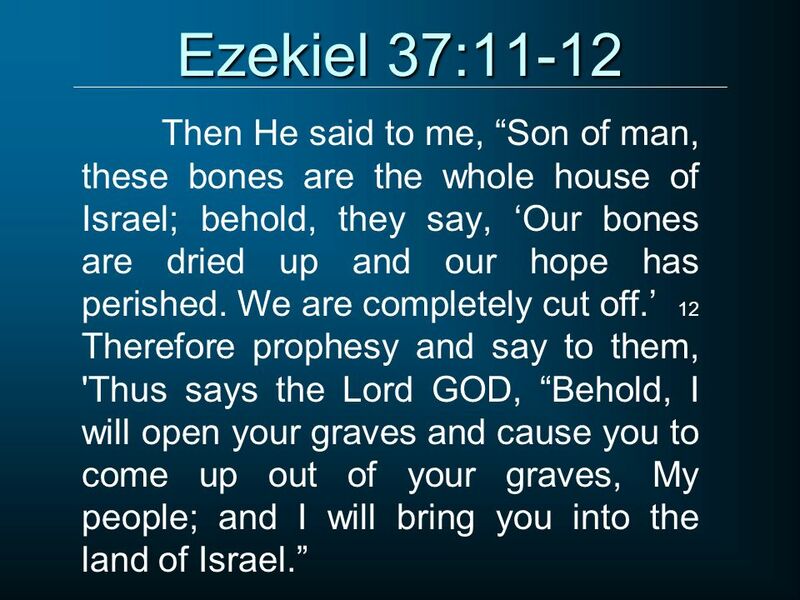 (Ezekiel 38 & 39). Russia is due north of Israel. The fact that about 1/3 of the 3.2 million Jews who have made Aliyah to Israel are from Russia, further validates this prophecy. Not that Biblical prophecies need validation, because they all have come or will come to pass. Note: the phrase, for the time is coming (verse 5) matches up precisely with verses 7-8 quoted earlier which begins with in that day. Which is even more confirmation that during “that day” (generational time frame) of the Second Exodus (which has already exceeded the original Exodus, but still in progress), the return of the King—Messiah, The Lord who is our Righteousness—will be so very near. Let’s return to the paradox posed by President Trump’s statement that evangelical Christians exhibited more support for the US Embassy move than did American Jews. Along with Jews throughout the world who have not yet returned to Israel, they are still called Diaspora Jews or Jews of the Diaspora. The Diaspora (meaning dispersion or scattered) is the term coined after the Romans demolished the 2nd Temple, destroyed Jerusalem, slaughtered over a million Jews, conquered Israel, and exiled most of the remaining Jews to the four corners of the earth. With the term exile used frequently in the Old Testament, applied to the first destruction of Jerusalem and Solomon’s Temple by the Babylonians in 586 BC. An exiled captivity that God through Jeremiah said would end in 70 years. Which is exactly how long it lasted. The second Temple was finished in 516 BC. Which fulfilled yet another prophecy when the Jews were commissioned by the Persian King Cyrus in 539 BC to rebuild the Temple in Jerusalem. The contemporary situation of Diaspora Jews is remarkably like the Jews exiled to Babylon—specifically those who chose not to return to Israel from the Babylonian or Persian Empires of which there were more than those who did return. First with Zerubbabel, the governor and Jeshua, the High Priest … then later with Ezra, the scribe. And finally, with Nehemiah from the Persian empire. Yet, Israel never regained sovereign status as a nation for two main reasons: (1) Some of those who returned and particularly the next generation failed to learn the heavy lesson of their Babylonian captivity and, thus, failed to return to the Lord, which was the purpose for God’s discipline of Israel. The books of Ezra and Nehemiah, but especially the last book of the Old Testament, Malachi, demonstrate this in dramatic, but distressing detail. (2) Only a minority of Jews returned to Israel, with the greater numbers remaining in the land of their captors. The Lord did not honor this less than half-hearted return (spiritual and literal … in numbers) of his people to once again trust, obey, and serve Him in the Promised Land of Israel. All that began to change with the modern-day rebirth of Israel and the return of the Jews in larger numbers even than the Exodus. And in exceedingly greater numbers (proportionally) than the Babylonian/Persian exile. And in Russia: (Only) 186,000 left! Just as Scripture said would happen: many Jews of Israel would come from Russia, where several million resided at the outset of World War II. Thus, for the first time (just in the past couple of decades) since the Diaspora of 70 AD more Jews live in Israel than in any other country on earth. This is a HUGE fulfillment of prophecy. One that tracks closely with end-times prophecies in which the return of Messiah will dovetail with not only the rebirth of Israel and the reunification of Jerusalem, but also with (from Jeremiah’s prophecy) the Second Exodus. And, of course, all the other prophetic signs listed earlier in this article. In the context of President’s Trump reference to (Diaspora) Jews in America, it’s easy to understand why they wouldn’t have the same level of appreciation as Israeli Jews or even of Christians who ardently support Israel because we value the awesome truths (including prophecy) of the Bible. That these prophecies have unfolded before our 20th & 21st century eyes, and because we love and want to bless Israel however and whenever possible. We want to share in Israel’s joy of sovereign statehood and marvel at her amazing technological and agricultural accomplishments. We will speak against those who would seek to denigrate and even destroy Israel. 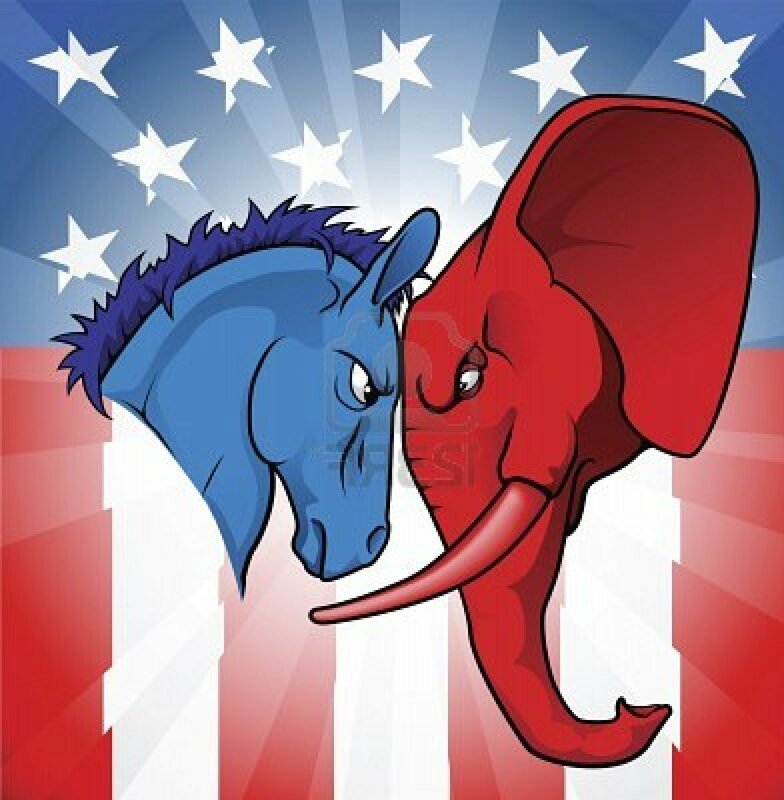 Undoubtedly the most common universal distinction (polarized dichotomy) between political, social, or religious ideologies is summed up as: Conservatives versus Liberals. Most liberals are globalists. (See Eye of Prophecy article, Globalism or Populism … Which Will Antichrist Prefer? Posted 9-16-17). Liberals are found in every society, including those whose agenda is even left of liberalism. By and large, they are those who do not support Israel’s government nor champion the sovereign existence of the State of Israel. They often accuse the Israeli government of (non-existent) oppression of the Palestinians. Contrary to the greater majority of Israeli Jews, many liberal Diaspora Jews disparage Zionism. Most Jews of the Diaspora (both liberal and conservative) prefer to remain apathetically neutral, if it means defending their Jewish brethren in Israel. With only marginal backing of Israel’s government, particularly when Israeli conservatives like Prime Minister Benjamin Netanyahu (Likud Party) lead the nation. There is a growing gap (albeit one that is tempered by the fundamental appreciation that the Jews now have their own land where they can not only live and prosper, but also defend themselves from their enemies) between Diaspora Jews and Israeli Jews. For example: Not that long ago, several members of the Knesset and other high-ranking Israeli officials scolded the Diaspora Jews for meddling in Israeli politics. Of being armchair quarterbacks. Still, there is some solidarity, as seen by the continued economic support of Diaspora Jewry for their brothers and sisters in Israel. I’m convinced that many American & European (and of course Israeli) Jews have descended from the so-called “ten lost tribes of Israel.” It’s just that most won’t know their ancestral tribe until Messiah returns. But 144,000 Jews will know beyond any doubt (Revelation 7). Both in and outside Israel, there remains a meaningful measure of unity between secular and religious, between Israeli Jews and Diaspora Jews. Although the differences between these seemingly polar opposites is not debilitating, it is, nevertheless, disruptive. To the extent that Israel’s enemies gloat over these divisions and are elated when (for example) liberal Jews promote the Palestinian cause no matter the Biblical, historical, and international mandated existence of the State of Israel. But the greatest distinction among Jews is those who are Messianic and those who are not. Although few compared to the 14+ million Jews world-wide, there are tens of thousands of Jews who have accepted the New Covenant prophesied in Jeremiah (Chapter 31) by believing and receiving Jesus of Nazareth as God’s anointed Messiah—the Savior of both Jews and Gentiles. This dichotomy is deep. With many non-Messianic observant Jews (especially the orthodox) denouncing Jewish believers in Messiah Jesus as traitors and outcasts to Judaism. Conversely, with Messianic Jews sharing the compassion of the most recognized Messianic Jew ever (the Apostle Paul—formerly an ultra-orthodox Pharisee who persecuted 1st century believers). Said Paul: “…the longing of my heart and my prayer to God is for the people of Israel to be saved. I know what enthusiasm they have for God, but it is misdirected zeal” (Romans 10:1-2). Messianic Jews know beyond all doubt that God has kept his everlasting covenant with Abraham through the rebirth of Israel and the reunification of Jerusalem; the Jews will forever possess the Promised Land. They also fully understand that it is they (and Gentile believers) who will rule and reign with Messiah Jesus during the Millennium, in fulfillment of God’s Covenant with King David. Accordingly, it is they who have fulfilled God’s two-part destiny (individual salvation through Messiah Jesus to be followed by national redemption when Jesus returns) for his chosen people. They are Jewish through and through. 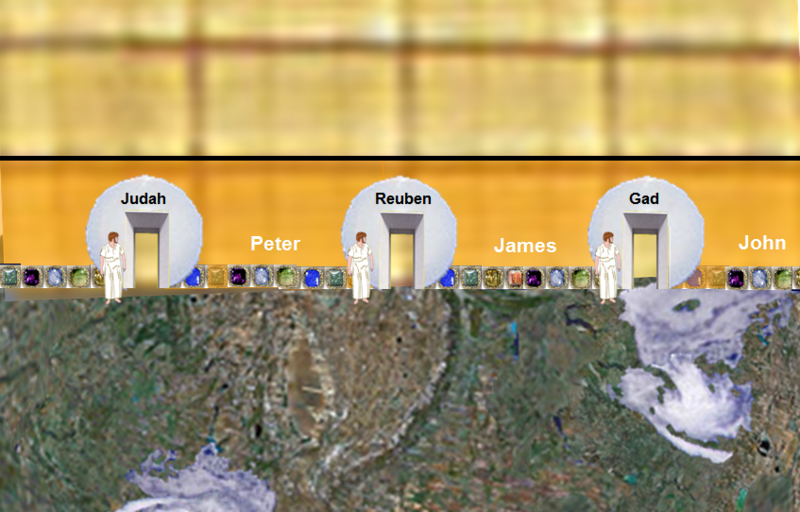 It is their ancient ancestors—the twelve sons (tribes) of Jacob whose names will be written on the twelve gates of the New Jerusalem. And the names of Messiah’s twelve Jewish apostles will be written on the twelve foundations stones of this glorious city built by God himself (Revelation 21:10-14). Please see Eye of Prophecy trilogy: Where is the Temple? Posted 11-29, 12-6, & 12-13-14. The following excerpt from Part III is the rolling premise throughout these articles to (with love and respect for God’s chosen people) challenge them to think about the loss of the Temple and the cessation of animal sacrifices, the very existence and essence of which meant redemption. That the exclusive reason is because the New Covenant replaced the Old Covenant when their Messiah Jesus was crucified, buried, and arose on the third day. Then validated that astonishing announcement by rising from the dead! Which is a historical fact. 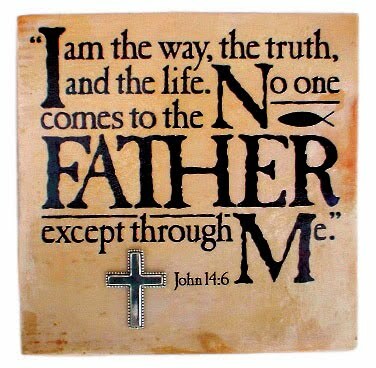 To anyone with a truly open mind and heart, there should be no doubt that God has a Son; the Second Person of the Triune God—Father, Son, and Holy Spirit. The Hebrew scriptures unequivocally declare this (Psalm 2 and Psalm 110). Anyone with that same open mind and heart will search the Scriptures and see that Jesus fulfilled every one of the dozens of prophecies regarding the first coming of Messiah. All one needs to do is to match up the birth, life, death, and resurrection of Jesus Christ to the Hebrew Scriptures, such as found in Psalm 22, Isaiah 52 & 53, Zechariah 9, and other passages. Anyone who is willing to examine all of God’s Word (both Old and New Testament) will better understand the reason for the world’s ills, including the split within the Jewish race itself (secular—observant; Israeli—Diaspora; Messianic—non-Messianic). As well as the universal dichotomy between light and darkness, good and evil, life and death. Then to fully realize that the only bridge between moral, spiritual, ethnic, and geopolitical opposites on this planet is none other than the Prince of Peace. “…and your king will bring peace to the nations. His realm will stretch from sea to sea and from the Euphrates River to the ends of the earth” (Zechariah 9:10). That one day soon there will be no more rival religions, no polarized politics, no fighting factions, with an end to irreconcilable differences between peoples. From Jerusalem, “The Lord will mediate between peoples and will settle disputes between strong nations far away (anyone who can settle differences between nations can certainly resolve dichotomies within nations). They will hammer their swords into plowshares and their spears into pruning hooks. Nation will no longer fight against nation, nor train for war anymore. Everyone will live in peace and prosperity, enjoying their own grapevines and fig trees, for there will be nothing to fear” (Micah 4:3-4, italics for emphasis, parenthesis mine).